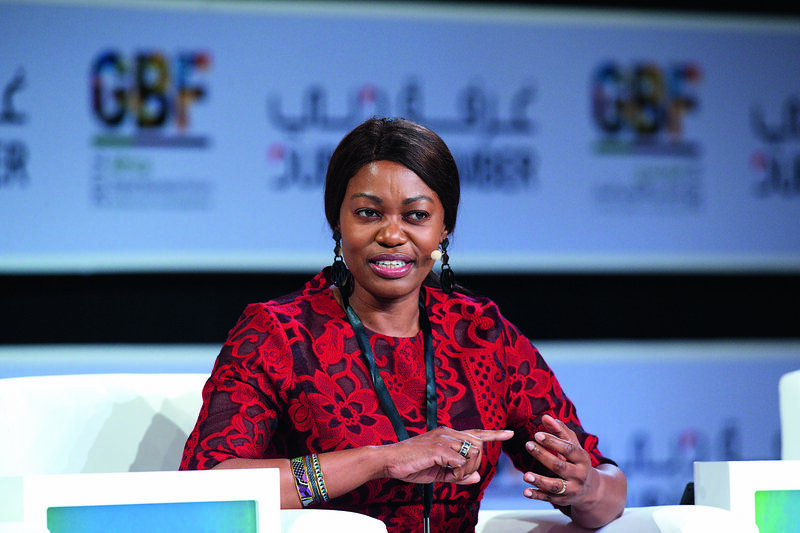 In the framework of the 30th Annual Session of the Crans Montana Forum to be held in Geneva (Switzerland), the special Programme of the African Women’s Forum will be organised on Friday, June 28. Women Heads of State and Government, First Ladies, Ministers, Parliamentarians, Businesswomen, Activists, Heads of International Organisations from all around World are invited to address " Women's Leadership in Africa - an inspiring evolution for global change"
The latest meeting of the African Women's Forum took place in Dakhla (Morocco) in the framework of the Crans Montana Forum on Africa & South-South Cooperation. This exceptional Programme gathered numerous high-level personalities coming from all around the World, to address Women's Empowerment in the Economic & Social frameworks. INTERNATIONAL WOMEN’S DAY : Celebrating African Women and from all over the World ! The Crans Montana African Women's Forum celebrates all inspiring Women on the International Women's Day 2019. The African Women’s Forum is committed to improving the status of Women in Africa and all over the World. The next African Women’s Forum Special Programme will be held on the occasion of the Forum on Africa & South-South Cooperation in Dakhla (Morocco) on March 17. This meeting will gather First Ladies, Ministers, Parliamentarians and Members of the Civil Society to address Women’s Empowerment in the economic and political frameworks. Discover the latest exceptional event of the African Women’s Forum held at the United Nations Office in Geneva, in October 2018.
interviewed prominent personalities who attended the meeting. In the framework of the 20th Annual Session of the Homeland & Global Security Forum, the Crans Montana African Women’s Forum organized a half-day discussion in the prestigious setting of the United Nations Office at Geneva to address the Role of rural Women for sustainable and fair Agriculture. This exceptional meeting was co-chaired by Amb. Jean-Paul Carteron, Honorary Chairman & Founder of the Crans Montana Forum, and Mrs. Maria Helena Semedo, Dep. Director General, Natural Ressources at FAO, and moderated by Mrs. Lady Ngo Many Epesse, President of the Women Environmental Covenant. Lors de la réunion de son African Women’s Forum, qui s'est tenue dans le cadre prestigieux de l'Office des Nations Unies à Genève, le Forum de Crans Montana a rendu hommage à l’homme de paix que fut le défunt Secrétaire Général des Nations Unies, Monsieur Kofi Annan. Aussi, le Forum de Crans Montana a souhaité lui décerner à titre posthume le PRIX DE LA FONDATION 2018, en présence de Monsieur Michael Moller, Directeur Général de l'Office des Nations Unies à Genève et de Monsieur Alan Doss, Président de la Fondation Kofi Annan. I am honoured to be with you today for this tribute to Kofi Annan. On behalf of his wife, Nane, and the Kofi Annan Foundation, I would like to thank the Crans Montana Forum for awarding the prestigious Prix de la Fondation posthumously to Kofi Annan. Mrs. Annan, who cannot be with us today, has asked me to express her deep gratitude for this gracious act honouring the legacy of her late husband. In the course of his remarkable life and career, Kofi Annan, as Secretary General of the United Nations, Nobel peace laureate and later as Chairman of the Kofi Annan Foundation energetically pursued his vision for a fairer, more peaceful world. “Healthy societies”, he would say, “are built on peace, inclusive development, and human rights.” But he recognised that women must play a central and critical role in building healthy societies. Allow me to quote him again: “When women thrive, all of society benefits, and succeeding generations are given a better start in life”. Achieving the Sustainable Development Goal on gender equality is thus not only deeply valuable in its own right but one of the best means of securing progress on all the other SDGs. That is why the Women’s Forum provides such an apt venue to honour Kofi Annan. He recognised clearly the link between gender equality and peace and sustainable development, particularly for Africa, for which he naturally felt a personal responsibility. He would be especially pleased that the theme of the Forum is the role of women in agriculture. Kofi Annan was convinced that the development of African agriculture, and securing food security, was the best way to address poverty and spur growth in Africa. Here too he argued that empowering and aiding women farmers is one of the best ways to end poverty on the continent. For Kofi Annan, the struggle for gender equality and the eradication of hunger were vital complementary steps on the road to creating a better world. Now that he is no longer among us, it is up to all of us to ensure that Kofi Annan’s ideals live on. Such was his wish and such is our mission at the Kofi Annan Foundation. This award will serve as a powerful reminder of Kofi Annan’s quiet wisdom, the depth of his compassion, and the clarity of his vision. As we look to the future, we should draw inspiration from his life and continue his tireless quest for a fairer, more peaceful world. A very warm welcome to the Palais des Nations. It is indeed a pleasure to join you today. We are meeting three years into our collective journey to make the 2030 Agenda for Sustainable Development a reality. Our ambitions are crystal clear: a world free of poverty and hunger; a fairer, more equal world; a world that respects the limits of nature. We are making progress, embracing change, and increasingly working together and learning from each other across regions and disciplines. But we also know we are not moving fast enough. In some areas, we risk backsliding. And just as progress in one area supports progress in the other, so too does failure in one force failure in the other. This interdependency is true across the full spectrum of the 2030 Agenda, but it is particularly pronounced in the links between empowering women on the one hand and eradicating poverty and ending hunger on the other, the focus of our discussion today. Let me approach this in the context of a broad picture. And let’s be clear. We’re failing women the world over, in rural and in urban areas, in the Global North and in the Global South - to the detriment of us all. Just 5 percent of heads of state and government are women. Just 5 percent of women lead the world’s largest companies. These abysmal numbers are the result of practical and cultural obstacles women face at all levels, from lack of opportunity to lack of basic human decency, from explicit legal barriers to implicit attitudes and cultural norms. Things are changing of course, with inspiring trailblazers all over the planet, in Africa in particular. Just yesterday, I was excited to see my former colleague Sahle-Work Zewde elected Ethiopia’s first female president. And I was encouraged to learn that the highest share of women in the workforce globally is found in Africa. But the pace of change is too slow. Just think that it would take another 217 years to achieve gender equality if we don’t accelerate our efforts. Promoting equality is a fundamental goal in itself. But more than this, we simply cannot address the complex and growing global challenges of our day without the full capacity of half of our population. Women’s equal participation in the labour force would unlock trillions for our global economy - in London as much as in Lagos, in rural Africa as much as in America’s corn belt. Women are proven agents of sustainable development, investing salaries and profits into their families and communities, with benefits for health, education, and stability. With benefits, crucially, for food security. For in our world of plenty, one person in nine still does not have enough to eat. Most of them are women. And it could yet get worse. From overcultivation to overgrazing, from deforestation to desertification: once fertile soils turn into barren land, triggering humanitarian and economic crises. Meanwhile, food demand only grows - in Africa, by over 50 percent in the coming years. Clearly, we need to redouble our efforts promoting and applying sustainable agricultural practices. But thinking about the right answer to this challenge also brings me back to the interdependency I mentioned at the outset. And we have since found powerful evidence that there is also no policy more important in sustaining peace. In fact, peace agreements are 30 percent more likely to last when women are meaningfully represented at the negotiating table - instead of routinely excluded. “What doesn’t work” is continuing business as usual, with all its short-sightedness and power imbalances. “What works”, by contrast, is challenging convention, is taking the holistic view, is acting sustainably. “What works”, above all, is women’s empowerment at all levels. Which is why your theme today - “African women, the driving force for economic and social development” - is spot on. All across the continent, women are taking charge, as entrepreneurs, as innovators, as pioneers - they are the ones paving the way towards an Africa that is inclusive and integrated; prosperous and vibrant. Today’s Forum is a chance to move ahead in the fight for gender equality, to keep the ambition high and work together in our collective endeavour for a better, more just future. I wish you every success in your discussions. And I thank you very much for being here today. Just a few weeks after being appointed NEPAD Agency Goodwill Ambassador, Yvonne Chaka Chaka joins the Honorary Committee of the Crans Montana African Women’s Forum. Yvonne Chaka Chaka, famous South African Songstress & Founder of the Princess of Africa Foundation actively participated to the 2017 Forum on Africa & South-South Cooperation in Dakhla (Morocco). On this occasion, she received the Forum’s Gold Medal and accepted to close the Official Award Ceremony with two of her iconic songs « Amazing Man » and « Pardon Me ». We are delighted to add her name to the list of prominent personalities who are already part of the Honorary Committee, chaired by Mrs. Irina Bokova, Director General of UNESCO (2009-2017). Yvonne Chaka Chaka is a champion for the Global Fund to Fight AIDS, TB and Malaria, the United Nations MDG Envoy for Africa, and the Goodwill Ambassador for the Roll Back Malaria Partnership. She was chosen by Nelson Mandela as the first ambassador for his children's fund, and has also established her own charity, the Princess of Africa Foundation, a partner of the ACTION global health advocacy partnership. Dans le cadre de la 20ème session annuelle du Homeland & Global Security Forum, la réunion exceptionnelle de l’African Women’s Forum se tiendra le vendredi 26 octobre, au sein de l'Office des Nations Unies à Genève. Femmes Chefs d’Etat et de Gouvernement, Premières Dames, Ministres, Parlementaires, Femmes d’affaires, Militantes et Responsables d’organisations internationales venues du Monde entier sont invitées à cette occasion. Ce sera-là l’occasion d’engager une grande réflexion sur les Femmes africaines, au coeur du développement économique et social du Continent. Yvonne Chaka Chaka, singer and Founder of Princess of Africa Foundation, attended the 2016 Crans Montana Forum on Africa & South-South Cooperation in Dakhla, where she received the Forum's Gold Medal for her actions in favor of Public Health and Women's Rights. Legendary and internationally-renowned South African singer and humanitarian Yvonne Chaka Chaka, has been appointed as the NEPAD Agency’s Goodwill Ambassador for TB and nutrition. 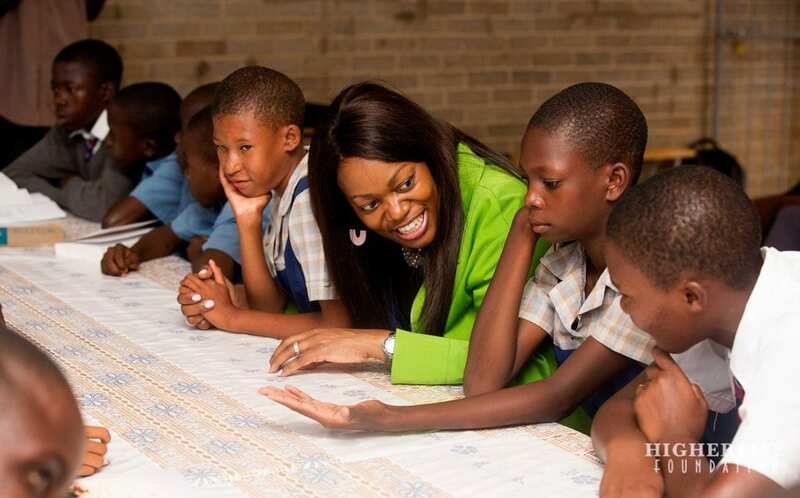 Considered a role model throughout the African continent, Yvonne has demonstrated compassion for others throughout her career. She has promoted literacy, women and children’s rights, and is also a champion in the fight against malaria, a statement from NEPAD states. Nollywood star actress, Mrs. Omotola Jalade-Ekeinde is this year's Best Actress in a Drama/TV Series at the 2018 Africa Magic Viewers Choice Awards. Omotola Ekeinde won the coveted award for her lead role in the movie 'Alter Ego'. This marks the first time she is winning an AMVCA in her long and illustrious career. Omotola Ekeinde attended the Crans Montanan Forum on Africa & South-South Cooperation in Dakhla (Morocco) in 2017 & 2018. We extend our warmest congratulations to her for this prestigious and most deserved award ! Mrs. Aisha Babangida, Chair of the Better Life Program for the African Rural Woman, attended the last meeting of the African Women's Forum held at the European Parliament on the occasion ofthe 29th Annual Session of the Crans Montana, last June in Brussels. She gives her impressions of the Forum in an article published on Medium. This past June, I joined the Crans Montana Forum and European Parliament to address a subject very close to my heart. People frequently frame Africa in negative light or diminish the promise of the continent by only discussing the problems, when in fact, like every area, with its problems, Africa also holds a wealth of potential. As a Nigerian, I know the potential my friends, family, neighbors and community members hold. Even still, some of that potential still goes unused or wasted. I think it’s important for everyone to begin to focus on how we tap into that untapped potential. To overcome the social, economic and political problems that plague areas all over Africa, I think we need to reconfigure the way we approach problem-solving so that rural Africans in particular, can also benefit from this new wave of progress. The simple solution, the key to the puzzle for me, has always been empowering women and rural women in particular. As many know, my late mother Dr. Maryam Babangida began our NGO the Better Life Program for the African Rural Woman because she saw the untapped there. 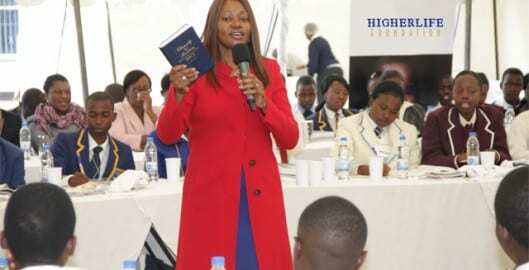 She wanted to enable these women to actively participate in their local economies, speak up on social and political issues and help them soar to these unsaw heights. Her vision and inspiration is what now inspires me today as the Chairman of the Better Life Program. If we can develop these women’s capacity and opportunity in their communities through education initiatives, skills training and cottage industry development, we all benefit. If they improve themselves, they will also improve the lives of those around them, and their nation as a whole. I am privileged to be able to see this transformation take place on a regular basis. With help and support from businesses and policymakers alike, we have been able to bring about a new generation of empowered women through access to education, health services, and an introduction into the agriculture industry. Our programs build the capacity contained in each of these women and help foster a sense of independence. Strong, independent women support a strong sustainable economy. While our efforts may seem modest, we are pioneering a new approach to problem-solving, a new economic model based on holistic development. In creating a system where empowered women are the foundation rather than the exception, I think we will see a shift and sustainable change. The fact of the matter is, our old model of government-led aid was not effective at developing an independent society, because I believe they were too far removed from the issue. I myself spend a lot of time speaking at events about rural women knowing full-well that neither I, nor those in the crowd, can truly understand the issues unless they have seen them firsthand. For us to make informed and effective decisions in developing a strong development model, we need to turn our attention toward those on the ground that have an in-depth understanding of what we want to achieve and how to achieve it. Together we can support them in becoming agents of their own betterment. We cannot see the impoverished as a plight, but rather a wealth of potential. In my experience, smart, progressive and profit-oriented companies have managed to turn poverty and a lack of financial access into new market opportunities. So how do we implement similar practices, on a wider scale? I’d like to quote one of my fellow panelists, Mrs. Malika Laasri Lahlou, Advisor of the Phosboucrââ Foundation. She said, “If a woman succeeds, the whole ecosystem around her follows. If you ask them what would be helpful, they answer that they need support to make their children graduate from school. But women are too devoted: that’s why we should be focusing at least part of our work on them.” We need that kind of selflessness and devotion. If women are devoted to their children, our next generation, then we need to become equally devoted to helping these women succeed at their goals. Governments need to actively support female empowerment, especially in rural communities where many women are more vulnerable, by supporting increased legislation that guarantee women education, pensions, land and property rights. In writing history, the government has the power to stimulate great change or prolonged inactivity. We need to push for progress rather than languish in waiting. Businesses can stimulate change by providing support and inclusion for women in the workplace and mentoring female entrepreneurs. Eliminate occupational segregation that prevents women from working in fields previously dominated by men and honing their technical skills. At the end of the day — companies should want the best person for the job, unbiased by gender stereotypes. Community members can support empowerment and development by supporting local cottage industries spearheaded by women who are able to open their own businesses through financial inclusion programs like microfinance banks. Prove our dedication to a prosperous future with our actions and not just our words. 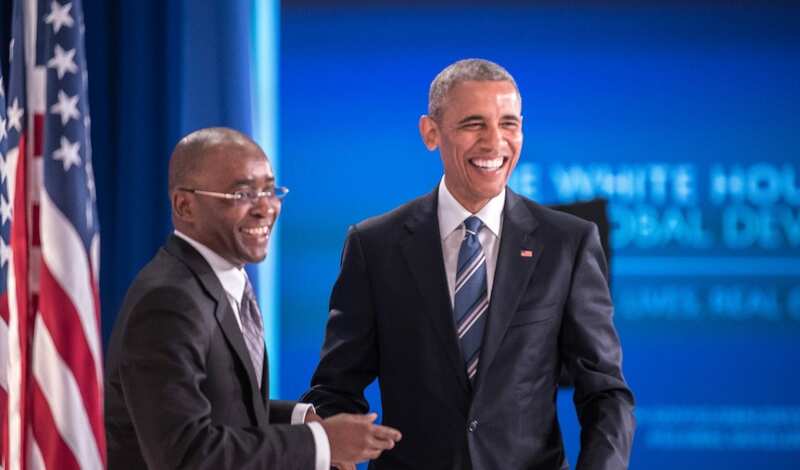 The ‘Africa problem’ can often feel like it is a step removed from the rest of the world, but the Crans Montana Forum reinforced the idea that Africa’s main concerns are the world’s main concerns. In order to achieve our goals for 2030, as cliche as it may sound, it needs to be a team effort. If Africa is struggling to overcome the obstacles before them, the world struggles. That being said, the effort Africa puts forth to overcome those struggles is compounded by the world’s efforts to support Africa in overcoming. About Aisha Babangida: Aisha Babangida lives in Nigeria where she works to better the African Community, specifically the lives of rural women and children. 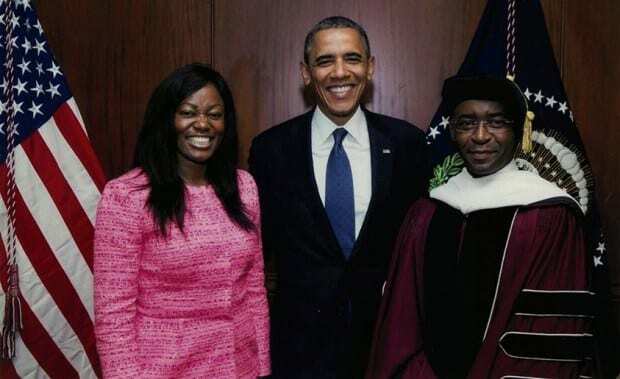 She believes in the power of education and financial inclusion as exhibited by her work with the Better Life Program and the Egwafin Microfinance Bank. You can hear more from Aisha on her blog. 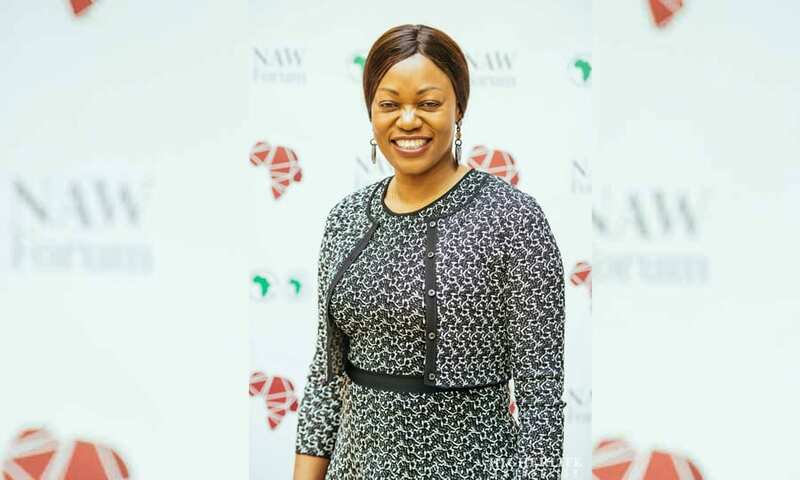 During the last African Women's Forum meeting, held on June 29 at the European Parliament, the Crans Montana TV interviewed prominent personalities who attended the meeting. On the occasion of the 29th Annual Session of the Crans Montana Forum, held in Brussels (Belgium), the Crans Montana African Women’s Forum organized for the third consecutive year a half day of discussions in the prestigious setting of the European Parliament, to address the Role of African Women within local, social and economic structures. This exceptional meeting was co-chaired by Mr. Pierre-Emmanuel Quirin, President of the Crans Montana Forum, and Mr. Gilles Pargneaux, MEP and host of the event, and moderated by Mrs Lady Ngo Many Epesse, President of the Women Environmental Covenant. A l'occasion de la Session Extraordinaire de l'African Women's Forum qui s'est tenue au Parlement Européen en juin dernier, Madame Maria Consuelo Nguema Oyana, Ministre des Affaires Sociales et de l’Egalité des Genres de la Guinée Equatoriale, a reçu la Médaille d'Or du Forum de Crans Montana. Membre de la Chambre des Députés de Guinée Équatoriale pendant 5 ans, elle a été nommée Ministre des Affaires Sociales et de l’Égalité des Genres en février 2018. Elle mène de très nombreuses initiatives en faveur de la réinsertion d’adolescents en marge de la société. Depuis qu’elle est Ministre, elle a également souhaité mettre un accent tout particulier sur le sort des Seniors et des Personnes en situation de Handicap en Guinée Équatoriale, un sujet majeur dans son pays. During the latest African Women's Forum meeting, held in March 2018 on the occasion of the Crans Montana Forum on Africa & South-South Cooperation in Dakhla, the Crans Montana TV interviewed prominent personalities who took part in the proceedings. INTERNATIONAL WOMEN’S DAY : Celebrating African Women and from all over the World! The Crans Montana African Women's Forum celebrates all inspiring Women on the International Women's Day 2018. The next African Women’s Forum Special Programme will be held on the occasion of the Forum on Africa & South-South Cooperation in Dakhla (Morocco) on March 16. This meeting will gather First Ladies, Ministers, Parliamentarians and Members of the Civil Society to address Women’s Empowerment in the economic and political frameworks. Discover the African Women’s Forum TV Report made during the exceptional session held at the European Parliament, in October 2017.
était une figure du combat écologiste. Une histoire hors du commun. Wangari Maathai, née le 1er avril 1940 dans une famille de paysans kikuyu au Kenya, alors colonie britannique, est devenue la première femme d'Afrique centrale et de l'Est à décrocher un doctorat. En faisant de la protection de l’environnement son combat, elle devient une figure de la lutte écologiste kenyan. À cette époque, le Kenya connaît une importante déforestation impactant plusieurs ressources. Wangari Maathai décide de faire de la protection de l’environnement le cœur de sa lutte : "Au lieu de récolter cette belle eau que le bon Dieu nous a donnée, nous perdons non seulement l'eau mais également le sol." En 1977, elle décide de replanter des arbres et fonde pour cela le Green Belt Movement qui s'étendra ensuite à d'autres pays africains. L’objectif est de construire des "ceintures vertes" gérées par des femmes autour des villes et villages. Les dizaines de millions d'arbres replantés faciliteront l'accès au bois et à l'eau et limitent l'érosion. À partir des années 1990, son combat prend une tournure politique. Elle lutte contre la politique autoritaire du président Daniel Arap Moi et plusieurs projets de défrichages à Nairobi. Elle sera plusieurs fois blessée et emprisonnée à cause de son activisme. En 2002, Wangari Maathai est entre au parlement kenyan à l’issue d’une élection où elle est élue avec 98% des voix. Elle devient ministre de l’Environnement l'année suivante. Deux ans plus tard, à l’âge de 64 ans, elle reçoit le Prix Nobel de la paix pour "sa contribution en faveur du développement durable, de la démocratie et de la paix." Dans son discours elle rappelle la philosophie de sa lutte : "Nous devons aider la Terre à soigner ses blessures et en même temps soigner les nôtres." Elle est la première femme africaine à recevoir cette distinction. Wangari Maathai, figure du combat écologiste kenyan, est décédée d’un cancer le 25 décembre 2011. SAVE THE DATE ! Special Programme of the African Women's Forum, in Dakhla ! On the occasion of the Crans Montana Forum on Africa & South-South Cooperation to be held in Dakhla (Morocco) from March 15 to 20, 2018, a Special Programme of the African Women’s Forum will be dedicated to Women’s Empowerment in the economic & political frameworks. Women’s leadership in the economic Governance : is entrepreneurship the key to Women empowerment? Join us in Dakhla from March 15 to 20 ! The Crans Montana Forum extend Season’s Greetings and Best Wishes for 2018 ! Watch the TV Report on the AFRICAN WOMEN’S FORUM at the European Parliament! the exceptional session held at the European Parliament, in October 2017. 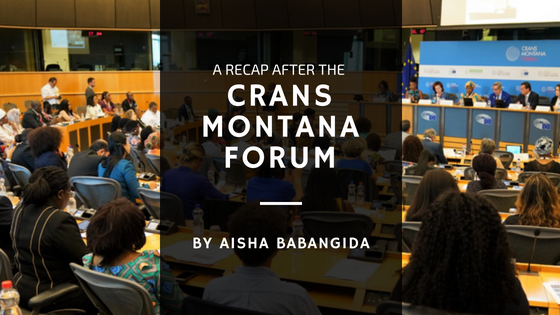 During the last African Women's Forum meeting, held on October 27 at the European Parliament, the Crans Montana TV interviewed prominent personalities who attended the meeting. A l’occasion de la 19ème Session Annuelle du Homeland & Global Security Forum, qui s’est déroulée à Bruxelles (Belgique), le Crans Montana African Women’s Forum, a organisé pour la deuxième année consécutive, une demi-journée d’échanges dans le cadre prestigieux du Parlement Européen, afin d’engager une grande réflexion sur le rôle des Femmes dans la Sécurité Globale. Cette réunion exceptionnelle était co-présidée par Madame Irina Bokova, Directrice Générale de l’UNESCO et Présidente du Comité d’Honneur de l’African Women’s Forum, et Monsieur Gilles Pargneaux, MEP et hôte de l’événement. On the occasion of the Crans Montana Forum’s 28th Annual Session, held in Barcelona in July 2017, the African Women's Forum organised a Special Programme addressing how to Strengthen African Women’s influence in the necessary change of their society. Lady Ngo Mang Epéssé, President of Women Environmental Covenant, animated this High-Level debate which gathered influential Men & Women coming from African, Mediterranean and Silk Road Countries to discuss Women’s role in the Social and Economic Development of their Country. Just a few weeks after becoming the first Egyptian and African Woman, Member of the high level Advisory Board of the United Nations Development Program’s Social Impact Fund, Mrs. Sahar Nasr joins the Crans Montana African Women's Forum Honorary Committee. We are delighted to add her name to the list of prominent personalities who are already part of the Honorary Committee, chaired by Mrs. Irina Bokova, Director General of UNESCO. Mrs. Sahar Nasr becomes Vice President of the Crans Montana African Women's Forum Honorary Committee, along with Rev. Jesse Jackson, Founder of Rainbow Push Coalition and Mr. Philippe Douste Blazy, Dep. Secretary General of the United Nations. Her personal commitment towards Arab Women and entrepreneurship is a strong signal and inspiration for all Women. Madleen Kullab's love for the sea has allowed her to overcome the physical and social challenges of her unusual job. 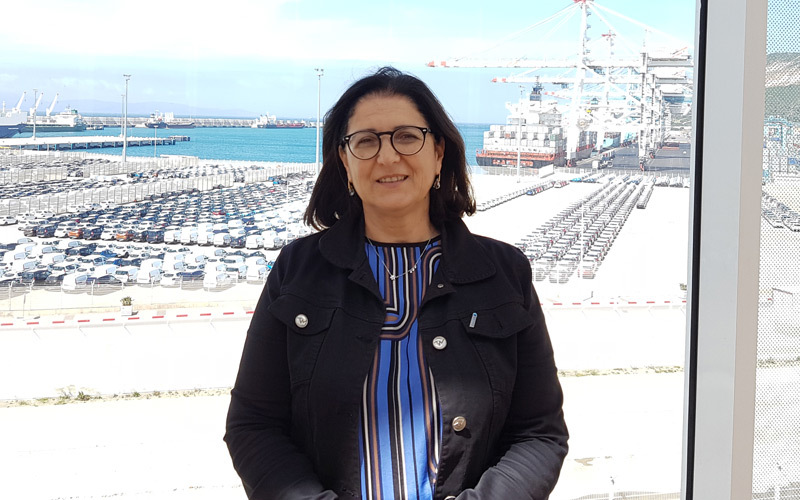 Gaza City - The world may not know her name, but anyone who has visited Gaza's seaport will recognise Madleen Kullab. 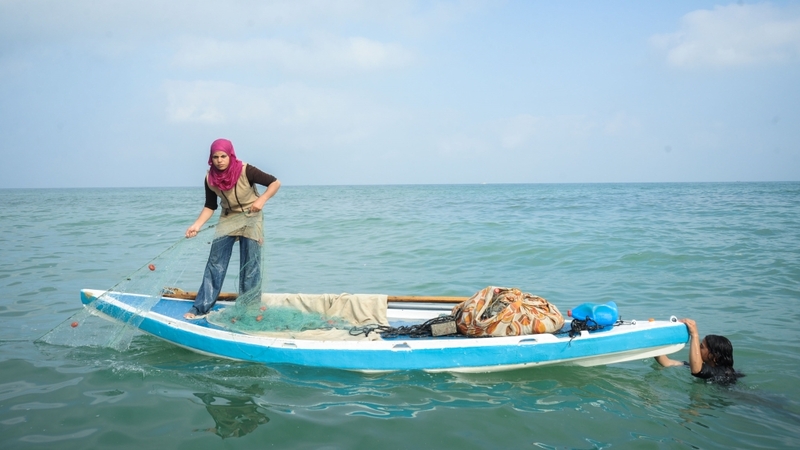 The daughter of a fisherman, 22-year-old Kullab is the only female fisher in Gaza. It was not her choice to follow her father's path: As a child, she dreamed of becoming a fashion designer, but the winds do not always blow as the vessels wish. The first time Kullab took to the sea with her father, she was just six years old. After her father was diagnosed with acute myelitis, an inflammation of the spinal cord, he lost his ability to work. Kullab, then 13, made the unusual decision to pick up her father's fishing gear. 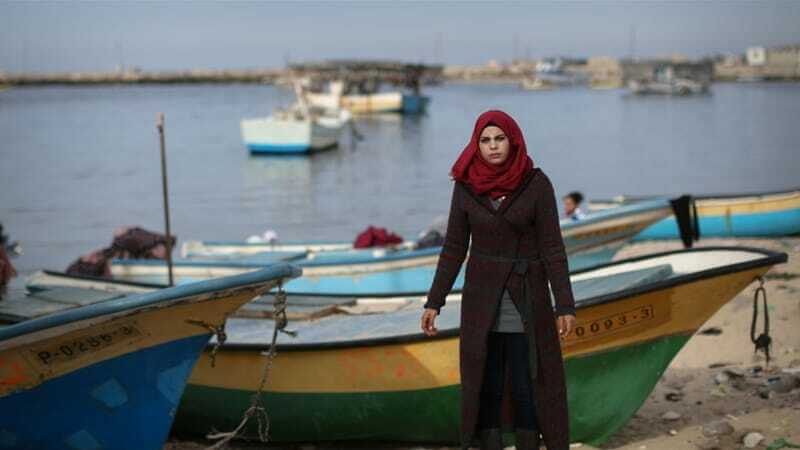 "The first time I went fishing by myself, on a motor boat, was frightening … but I picked it up pretty quickly," Kullab told Al Jazeera, while sitting on a cement step at the edge of Gaza City's fishing harbour. The best way to combat such criticism, she found, was to showcase her fishing prowess. She learned by heart all the different types of local fish, the best times to cast a line, what kinds of rods and hooks to use, and what types of fish are most affordable for Palestinian families in Gaza: "Sardines, definitely. "As a 13-year-old girl, Kullab faced multiple challenges, including the physical strength needed for the job and the community's scepticism towards her role in an industry dominated by men. At night, Kullab prepares her nets. In the morning, she pulls her boat out into the water. As the waves slap against its sides, she casts her net into the sea, hoping to make a sufficient catch to feed her six-member family and put some out for sale. Although male colleagues initially belittled her, Kullab says she eventually proved herself through the amount of fish that she caught: "Some of them said that I must have a supernatural power that helped me," she said with a wide smile. 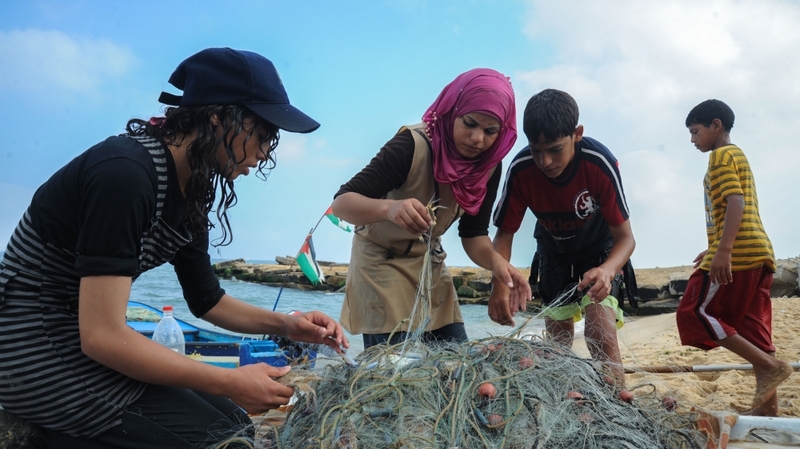 Her unique position as Gaza's only fisherwoman has inspired many journalists, both local and foreign, to cover Kullab's story. The attention made some of her male colleagues envious in the beginning, she said, but over time she earned their respect. "They all treat me now as a sister or a daughter," she said. Kullab has viewed fishing first as something she was forced into, then as a passion, and now as a profession at which she excels. 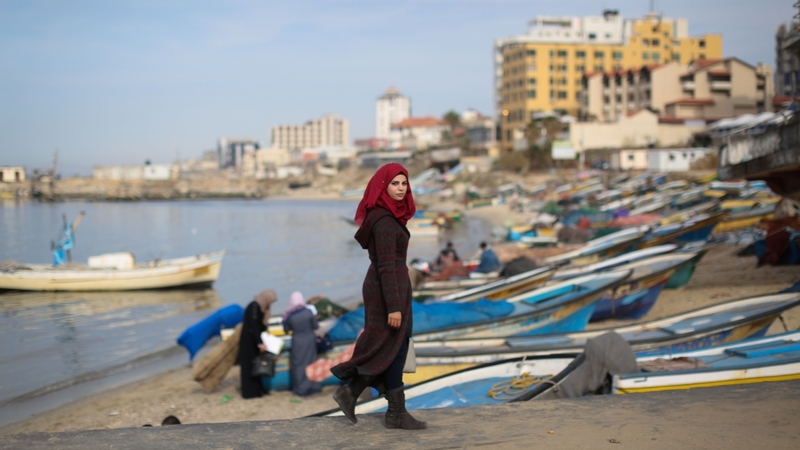 But amid Israeli-imposed limits on Gaza's fishing areas, the job has become dangerous, and Kullab is pursuing a secretarial diploma to give herself another option in the territory's limited job market. She tries her best to balance work and classes, although nothing beats her love for the sea: "I have become part of the sea." Like the rest of Gaza's 4,000 fishermen, Kullab has struggled to make ends meet in the Israeli-defined six-nautical-mile fishing area to which they are limited - a limit that was raised just last year to nine nautical miles, then reduced back to six after less than three months. The result has been a decimation of the local fish population. "We used to have 4,000 tonnes of fish of different types. They were sufficient for the needs of the Palestinians in Gaza, and we exported the rest to the West Bank," noted Nizar Ayyash, the head of the Palestinian fishers' syndicate. "We now have only 1,500 tonnes maximum of fish, and they are barely enough to meet the local market's needs." When they stray outside of this zone, fishermen have been fired upon with live ammunition, had their equipment seized or been arrested by Israeli forces. Kullab has experienced such harassment on multiple occasions, noting that her boat has been shot at directly, and she has been screamed at through a loudspeaker by the Israelis in broken Arabic: "Go from here, you girl!" Such incidents have forced her to flee back to shore, even when she was empty-handed. "They would not differentiate between a boat with a man on its deck or a woman," Kullab said. "Whoever attempts to come closer will be shot at directly." According to the group BTselem, about 95 percent of fishers in Gaza live below the phuman rightsoverty line. Kullab herself earns just 500 shekels ($135) a month, although her income may fluctuate based on weather conditions, Israeli naval policies and the availability of fish. "It is very disappointing [on the days when you] go home with zero fish," Kullab said. Fuel to operate fishing boats is also quite expensive, and Israel has forbidden the entry of key boat maintenance materials and spare parts, including fibreglass, rendering one of Kullab's favourite boats useless. Apart from her work as a fisher, Kullab also offers her services as a tour guide, taking families on short sea tours, especially during the hot summer season. And although she is looking for a way out of the industry, in the meantime, Kullab says she would love to see other women from Gaza follow in her footsteps as a fisherwoman. "I'd love to see more women joining me in this career," she said. "This would help to lift the burden [of social pressure and criticism] from my shoulders." SAVE THE DATE ! Special Programme of the African Women's Forum, in Barcelona on July 7th ! On the occasion of the 28th Annual Session of Crans Montana Forum to be held in Barcelona (Spain) from July 5 to 8, a Special Programme of the African Women’s Forum will be dedicated to strengthening Women’s influence in the necessary change of their societies. How to open widely African Women’s "windows" on to the World? Women Heads of State and Government, Ministers, Ambassadors, Parliamentarians, Businesswomen, Heads of Organisations and Activists committed to the Promotion and Empowerment of Women are invited to address these issues. The African Women's Forum is celebrating all inspiring Women on March 8, International Women's Day 2017 . Too many disparities still exist between Women and Men. The African Women's Forum pursues its mission to gather influential stakeholders and address Women's Empowerment and Promotion, in an informal platform of discussions, exchanges and reflections. This involves giving African Women the floor and making their voices heard on all these major topics, both present and future, that affect modern African society, allowing them to claim ownership of their essential role in the extraordinary progress & Development Africa is currently experiencing. La présidente de la Confédération Générale des Entreprises du Maroc (CGEM), Mme Miriem Bensalah-Chaqroun, a été décorée, lundi soir à Rabat, de la Croix de Grand Officier de l’ordre du Mérite civil du Royaume d’Espagne en reconnaissance à son action en faveur de la promotion des relations économiques entre le Maroc et l’Espagne. L’ambassadeur d’Espagne au Maroc, M. Ricardo Diez-Hochleitner, a remis, au nom du Roi d’Espagne Felipe VI, cette distinction à Mme Bensalah-Chaqroun lors d’une cérémonie qui s’est déroulée en présence de plusieurs personnalités du monde de la politique, des affaires, de la diplomatie, de l’art et des médias. Dans une allocution de circonstance, M. Diez-Hochleitner a souligné que cette décoration "amplement méritée" constitue un hommage aux efforts et au dévouement de la présidente de la CGEM pour développer davantage les liens commerciaux entre les deux pays. "Mme Bensalah-Chaqroun est l’exemple de la place et de l’importance de la femme marocaine dans le développement du Royaume sous la conduite de Sa Majesté le Roi Mohammed VI", a dit le diplomate espagnol, faisant part des remerciements et de la gratitude de son pays à la présidente de la CGEM pour son "travail et sa contribution efficace à l’institutionnalisation de la coopération entre les patronats des deux pays". Après avoir mis l’accent sur la "profondeur et l’excellence" des relations économiques et commerciales entre Rabat et Madrid, M. Diez-Hochleitnera indiqué que cette distinction constitue également un hommage au tissu entrepreneurial au Maroc qui se développe de manière permanente et contribue positivement à la consolidation des liens de partenariat entre les deux pays. De son côté, le président de la Confédération espagnole des organisations entrepreneuriales (CEOE), Juan Rosell, a tenu à féliciter la présidente de la CGEM pour cette décoration, une récompense méritée pour son action en faveur de la promotion des rapports économiques entre le Maroc et l’Espagne, a-t-il affirmé. S’exprimant à cette occasion, Mme Bensalah-Chaqroun a exprimé sa "profonde gratitude" à l’Espagne et au Souverain espagnol pour cette prestigieuse distinction, assurant que cette "décoration vient récompenser le travail accompli par les opérateurs économiques des deux pays afin de créer des valeurs ajoutées". "Il s’agit d’une reconnaissance pour tous ceux qui oeuvrent pour la promotion et le renforcement des liens économiques entre le Maroc et l’Espagne" grâce à l’impulsion de SM le Roi Mohammed VI, a-t-elle affirmé, ajoutant que les secteurs privés marocain et espagnol ont franchi, ces dernières années, des pas importants vers la consolidation du partenariat bilatéral notamment à travers la mise en place du Conseil économique maroco-espagnol en 2013. Les deux pays s’ouvrent sur de nouveaux horizons de coopération et sont appelés à travailler davantage pour fédérer leurs synergies et aller de l’avant dans leur coopération économique, a conclu Mme Bensalah-Chaqroun.